IT might. I wish all the people who worked to reach this status all the best." Minister of state for Foreign Affairs of Bahrain Nezar Al-Baharna visited Dohatec New Media, a software company on June 21. He was impressed by the quality of software development and offered to facilitate joint venture in Bahrain to implement projects in the reign. 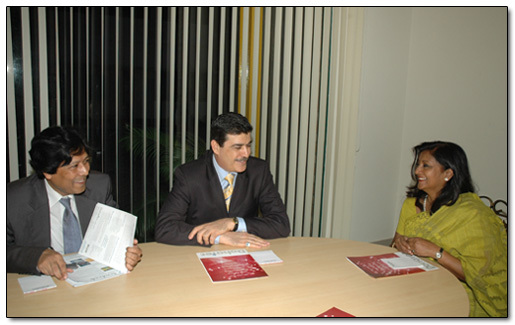 Minister of State for Foreign Affairs of Bahrain Nezar Al-Baharna, Ambassador Md Rulhul Amin and Dohatec Chairman Luna Shamsuddoha seen in the picture.